To appreciate how the Bishop Arts District is revitalizing a section of Oak Cliff you first must know the town’s history. Developer David Spence of Good Space restores buildings in the area and explains how the district’s artistic flavor came from an old piece of Americana. "Bishop Arts is all about the old street car line," says Spence. 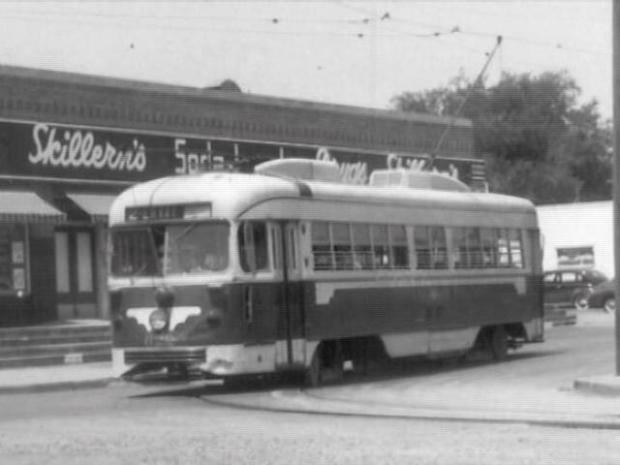 He explained how the streetcars arrived at the turn of the 20th century after the citizens of Oak Cliff made a big decision. "In 1903 the citizens of Oak Cliff voted by a margin of 12 votes to be annexed into the city of Dallas and shortly there after the Dallas Railway and Traction Company, if I remember it, laid the street car tracks across the Trinity down Bishop and to the Bishop Arts District." To appreciate how the Bishop Arts District is revitalizing Oak Cliff, you need to know it's history. Spence also knows how the streetcar line transformed the area from a place where only the rich lived to more middle class. "Because it became affordable for clerks to live in a little bungalow here on 9th street and take the trolley downtown for seven cents and be at the office." Expansion ended in the late 50's after the streetcars stopped when development in cities slowed and in came sprawling suburbs. "So, in a matter of 4 years all the foot traffic all of the automobile traffic dried up,” Spence describes. Spence tells the story of how revitalization came in the early 1980's ushered in by developer Jim Lake Sr. who bought a significant amount of property that is now home to Hattie’s American Bistro and The Soda Gallery soda shop. "Mr. Lake renovated that block and a half of buildings giving the revitalization of this area kind of a critical mass and we've been chugging along ever since under the name the Bishop Arts District," he says. Spence owns the commercial building that's home to his office, the chocolate store Dude, Sweet Chocolate, an Italian restaurant named Lucia and more. "I have all these young urban pioneer tenants," Spence beams. All who are putting their modern impression on the area known in 1903 only as the North Loop. Oak Cliff Chamber of Commerce President Bob Stimson says chic stores and restaurants are making the area home. "There's all sorts of exciting stuff that's going on in Bishop Arts." It would be the beginning of a new chapter of one of Dallas’s most storied neighborhoods.